This is the easiest treat you’ll ever make. It’s so satisfying, the quinoa pops have the best crunch, and the perfect after dinner bite. Preheat the oven to 180’C. If you’d like to make your own raw chocolate, follow the steps here. Otherwise, slowly melt your favourite dark chocolate in a bain marie. Spread the quinoa pops out on a baking try and bake them for about 6 minutes, tossing in the middle, just until crisp. Line a small baking tin with parchment paper and pour in the chocolate. 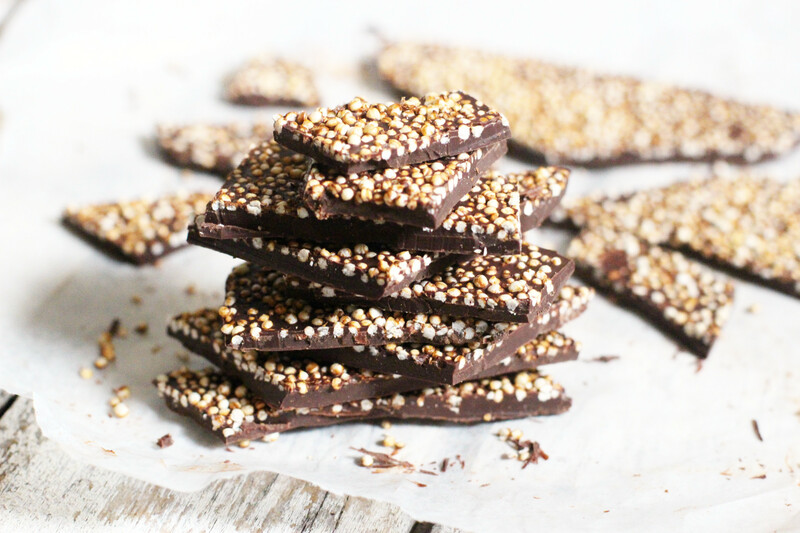 Sprinkle the quinoa pops generously all over and use the back of a spoon to lightly press them into the chocolate. Add a sprinkle of sea salt and pop it in the fridge to set. When it’s set, chop it into chunks. Sounds so good! What are Quinoa Pops and where can I get them!! 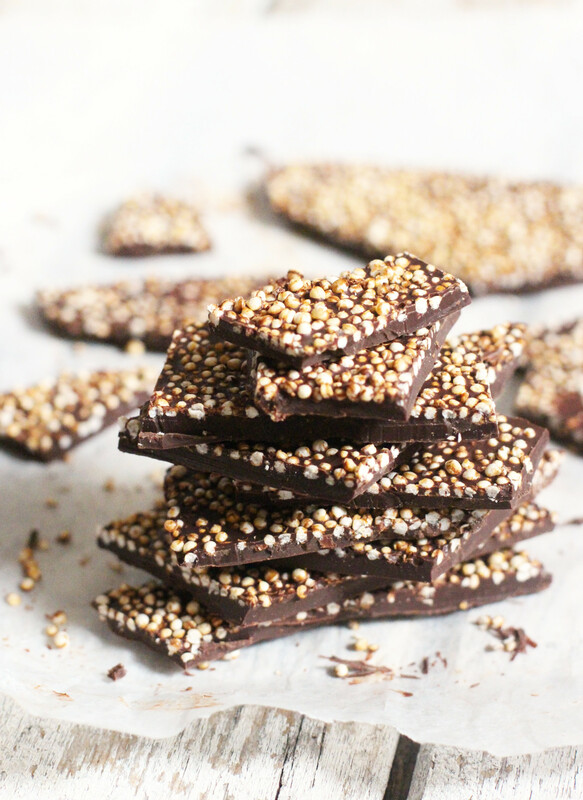 I’m always wanting a way to make crispy chocolate but without the puffed rice.